A simple copper coin put in the vase will do wonders for your cut flowers. You have often heard that sugar or aspirin can increase the resistance of vase flowers, but the result wasn’t exactly the one you’ve expected. A copper coin has a tremendous effect to prolong the life of cut flowers. Why? Because copper is a very good fungicide that protects flowers effectively from bacteria. This trick is used of most florist to make their flowers last longer. How do you think those flowers resist so long in markets? 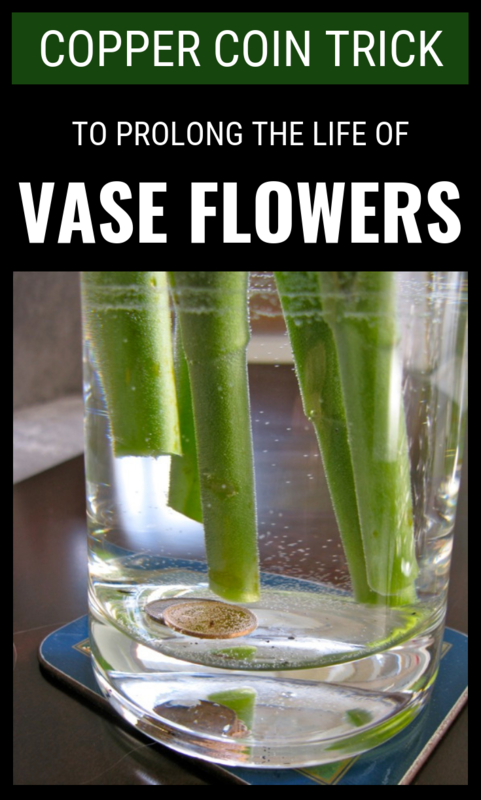 Simple, just search for a coin in your wallet/pockets and add it in the flower vase. Change the water after 3 days, and add another copper coin.